Palisades is located in the Northwest quadrant of D.C. The neighborhood runs beside the Potomac River from the Maryland border to Georgetown. 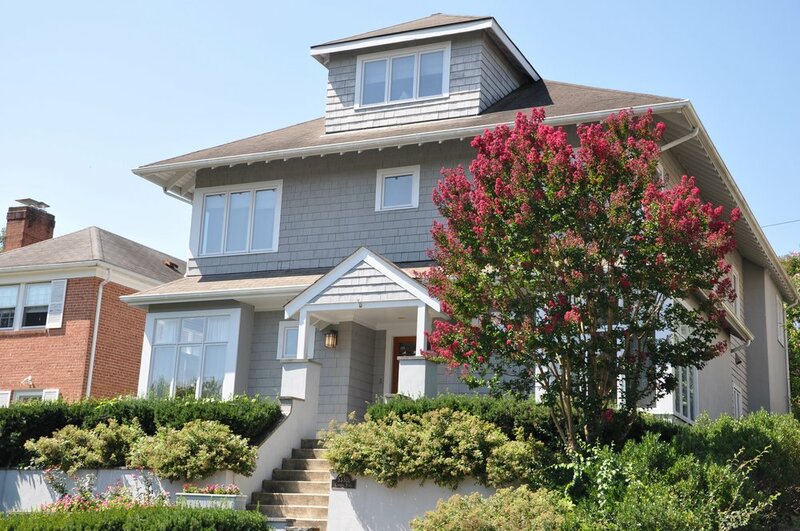 Palisades contains beautiful homes on quiet streets full with trees and other greenery. There is great sense of community and since this neighborhood is mostly residential there is a small town feel. Georgetown and downtown D.C. are only a few minutes away from this neighborhood, which gives residents close access to all of the downtown amenities. Residents thoroughly enjoy the easy access to the recreational activities along the Potomac such as the C & O Canal and Crescent Trail. Palisades is primarily a residential neighborhood with single- family homes, bungalows, and contemporary houses. There are a few town homes and condos located on MacArthur Boulevard, but houses make up the majority of available living spaces. There is no direct metro access to this neighborhood. However, there are many bus routes that service this neighborhood. The majority of residents get around using cars because traffic is very manageable. Public schools in this neighborhood are Francis Scott Key Elementary, Hardy Middle School, and Wilson High School. There are also a number of private schools in and near the area. A few are The Lab School, Georgetown Day School, and Our Lady of Victory School.